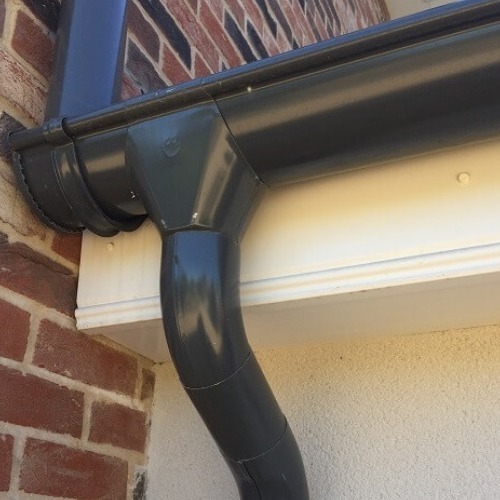 Our Graphite coloured galvanised steel gutters will add a touch of class to any installation. Lightweight yet tough and durable, the proven four stage manufacturing process used by leading European manufacturer. 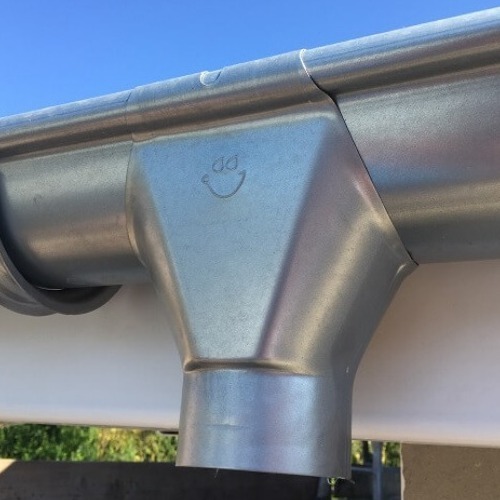 The guttering itself is 135mm with an attractive inward curve to the leading edge, further increasing the capacity when compared to other steel systems. The matching downpipe is 87mm. 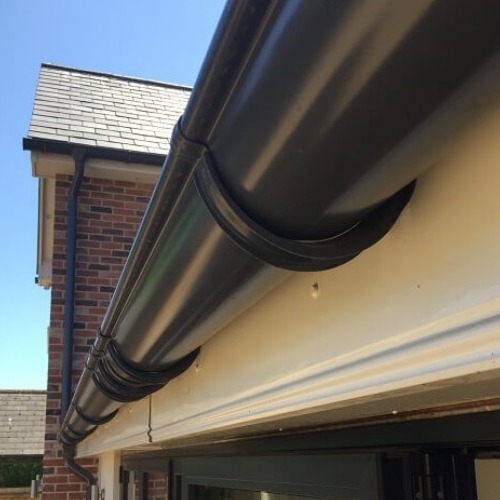 Click here to watch a short video clip comparing the colour of Graphite Grey with normal grey PVC Gutter. 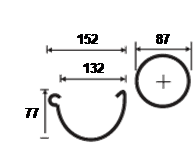 Please note when comparing prices - our angles come with seals and do not require additional unions like most other systems.